UC leaders today (Sept. 13) applauded a move by the Mission Asset Fund to provide grants to cover the cost of permit renewals for UC, California State University and California community college students who are under the Deferred Action for Childhood Arrivals (DACA) program. The Bay Area nonprofit will distribute $500,000 funds in the form of $495 grants to cover the renewal application fee for students whose DACA permits expire on or before March 5, 2018 and who are applying for a renewal. Grants will be distributed on a first-come, first-served basis, so students should submit applications as soon as possible — even if they have not yet completed the DACA renewal application — so that funds can be made available to them before the Oct. 5, 2017 renewal deadline. UC students in need of financial support for their DACA renewal applications are urged to apply for a grant on the Mission Asset Fund’s website, http://lc4daca.org/. The online application requires only that students answer a short questionnaire and provide proof of their DACA work permit. 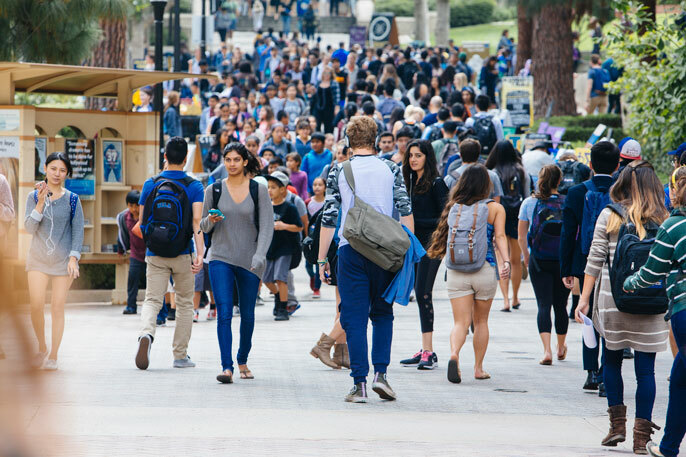 The news from Mission Asset Fund comes just one day after UC President Janet Napolitano and the 10 UC chancellors sent a letter to the UC community urging DACA holders to move quickly to apply for a permit renewal. On Oct. 5, the federal government will stop accepting renewal applications from DACA recipients whose permits are set to expire by March 5, 2018. University leaders have blasted the Trump administration’s decision to end DACA — and are suing in federal court to block its termination. In a letter to the UC community, the president and chancellors urged DACA holders to take advantage of UC’s available legal resources and move quickly to apply for a renewal. “The U.S. Citizenship and Immigration Services already has stopped accepting new DACA applications. However, if you already have DACA, and your permit is set to expire between September 5, 2017 and March 5, 2018, you may apply for a two-year renewal. “You must apply for renewal no later than Oct. 5, 2017,” the letter states. UC has approximately 4,000 undocumented students, a substantial number of whom have DACA. UC leaders have encouraged DACA holders to discuss their circumstances with immigration counsel and shared UC resources that can help. The UC Immigrant Legal Services Center, housed at UC Davis, helps people from the entire UC community. They can be reached online at: https://law.ucdavis.edu/ucimm/ or via email, at: ucimm@law.ucdavis.edu. UC Berkeley has its own legal support center. People affiliated with that campus may reach them here: https://undocu.berkeley.edu/legal-support-overview/legal-support-appointments/. And every campus offers support and other resources to its undocumented students. You can find those resources here: http://undoc.universityofcalifornia.edu/campus-support.html. The letter concludes with assurances that University of California officials are working on a variety of fronts to continue protections for DACA recipients. In addition to filing suit in federal court, they are lobbying Congress to pass legislation that would provide a clear path forward to permanent protections for DACA permit holders. “It is our unequivocal belief that students should be admitted to UC and other institutions of higher education based on their records of achievement and without regard to their immigration status,” UC leaders write.